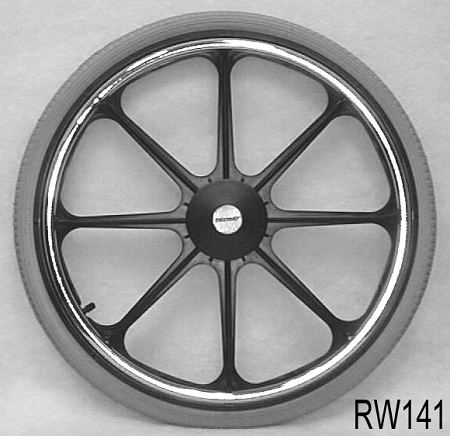 22 x 1 3/8" mag wheel with 8 spokes and pushrims. Flush hub with 2.4" hub width. 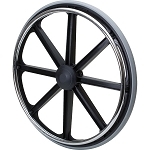 Choose from 7/16" or 5/8 axle with bearings included. Choose from pneumatic street tire, urethane 22 x 1" economy tire, or urethane street tire. Sold as each.